Little Fremonsters have a new place to spend the day now that the Woodland Park Cooperative Preschool has moved into town. 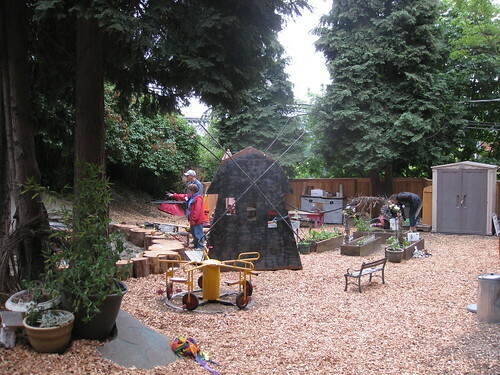 The preschool, which has found a new home at the Fremont Baptist Church, is part of a network of independent cooperative preschools run through North Seattle Community College, serving children ages 2-5. The preschool is fully enrolled for the coming school year, but there will be openings for the 2012-13 school year. Tours begin in February 2012. Check here for registration information. You can learn more about how a cooperative preschool works here and read about Teacher Tom’s philosophy and adventures here.